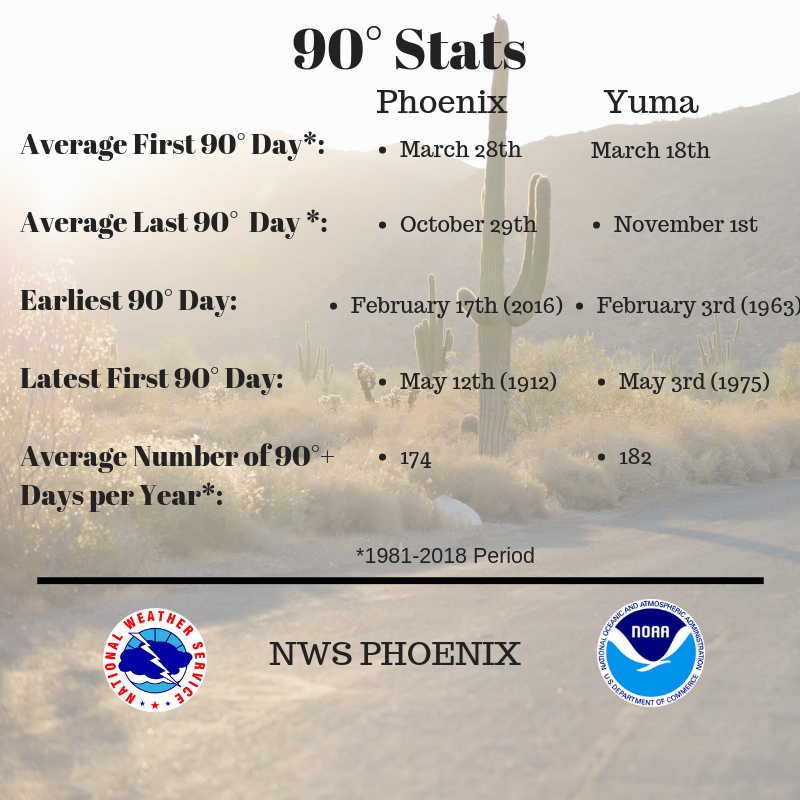 PHOENIX – Last weekend was warm across the Valley of the Sun, and a big ridge of high pressure will keep temperatures above seasonal normals for the remainder of the week. The state will cool off slightly midweek as a weak shortwave trough will tighten the pressure gradient, resulting in an increase in clouds and breezes. 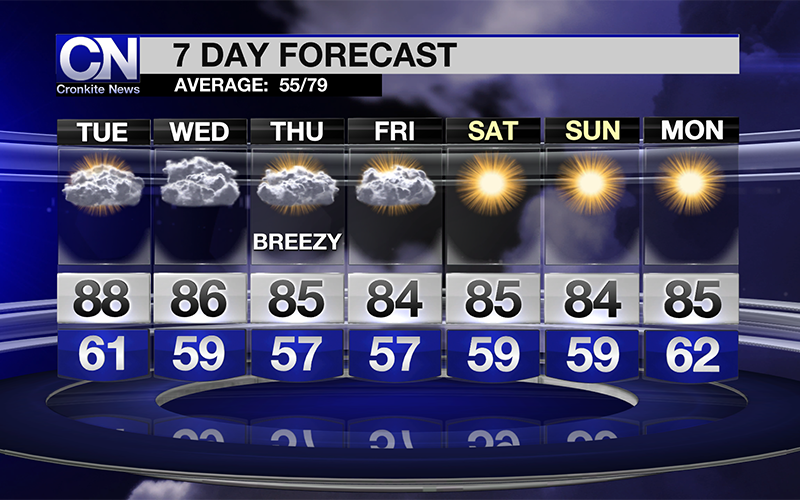 The forecast looks to stay dry across the state for the next seven days. 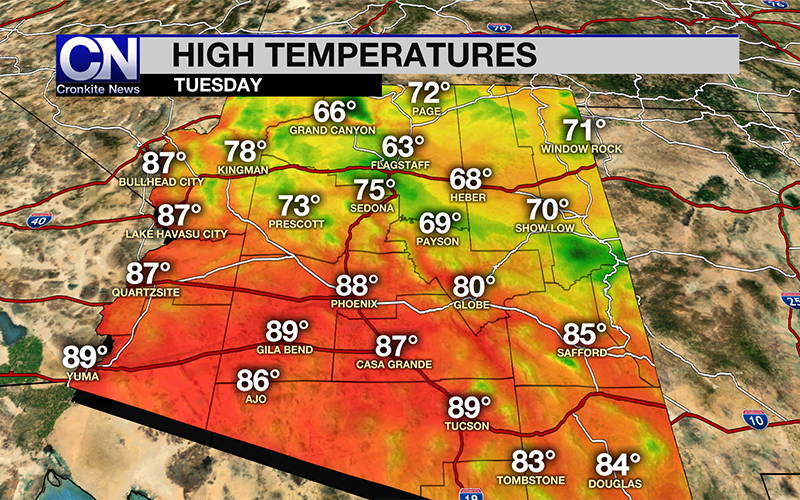 Clouds will increase throughout the day Tuesday, and temperatures in metro Phoenix will climb much higher than today. Overnight temperatures will bottom out in the 50s, then the high pressure ridge will lift temperatures to near 90 across central Arizona. Some areas could hit 90 degrees for the first time this year. In Phoenix, the average first 90 degree day is March 28, according to the National Weather Service. The earliest 90 on record was Feb. 17, 2016. The high country can expect temperatures well above seasonal normals. 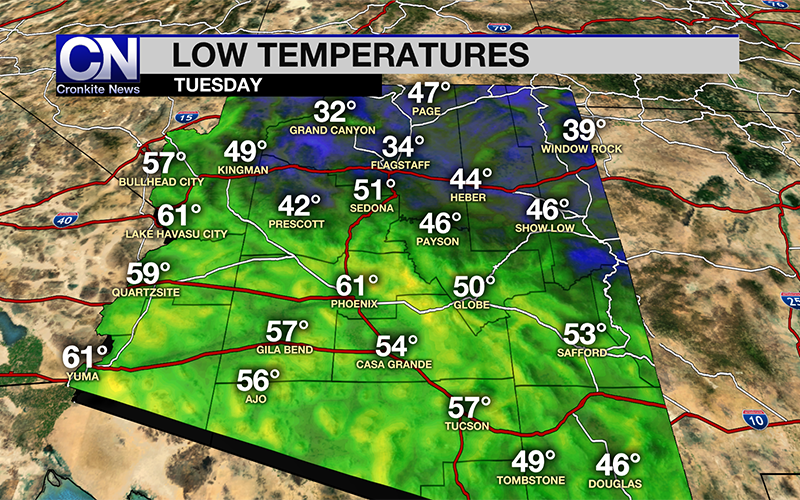 Lows in Flagstaff and along the Mogollon Rim will be in the 30s, with Payson and Prescott in the mid-40s. Highs in those spots will be in the 60s and 70s. Tucson can expect a high of 88 degrees for Tuesday. Dry conditions will continue through the weekend. As the shortwave disturbance exits the region late week, abundant sunshine will return across the state as another ridge of high pressure builds in. CORRECTION: A previous version of this story included misinformation. The article incorrectly stated when the average first 90-degree day hits. It’s March 28.